The SavantAA Σ is a top-of-the-range atomic absorption spectrophotometer. It is a state-of-the-art fully automated, multi-element, true double beam instrument with all-reflective optics. 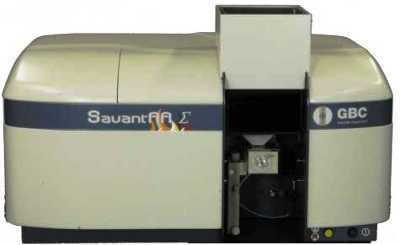 It is fully computer-controlled, including the burner adjuster, burner rotation, Super Lamp Power Supply, Electronic Sample Viewing, Lamp optimization, wavelength and slit setting and gas control, using SavantAA Windows® Vista based software.